Tuesday afternoon in Milpitas was the setting of your classic pitcher’s duel. The starting pitchers matched zeroes for most of the game until the Trojans scratched across a second run in the bottom of the seventh for a 2-1, walk-off victory. Santa Clara ace Victoria Latz and the Bruins defense did all they could to try and hold onto a 1-0 lead, but Milpitas tied the game 1-1 in the fifth, before winning in walk-off fashion in the seventh. When the Trojan hitters did put the ball in play, the Bruins defense came up large. 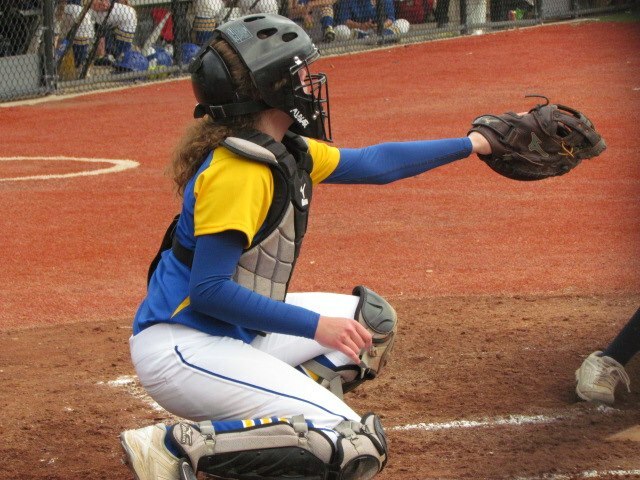 The most noteworthy defensive gem was started by Klahold on a bunt attempt with runners at second and third and nobody out. Klahold popped out of her crouch, picked up the ball and gunned down the runner at first. The runner at third then beelined for home, but first baseman Piper Soto made a quick catch and release throw home to nail the runner as third baseman Sierra Trujeque applied the tag at home plate. Santa Clara would finish out the remainder of the third inning without allowing a run, maintaining their 1-0 lead for the time being. While the Bruins defense shined behind a tremendous pitching performance, the offense remains in a bit of a funk. Santa Clara came up empty in the extra-base hit department. Although, Klahold and Rachelle Martin-Vera came up with solid singles at the plate. Santa Clara will look to bounce back with their first win of the league season Thursday, March 28 when they host Los Gatos.